Want to add low-cost outdoor furniture that’ll add some style too? Read on these 20 unique ideas to use the pallet wood! The garden area of the house is your forever ready party spot where you can perform many fun tasks like relaxing, get together, dining, etc with your near and dear ones. But for this, you’ll need to have all kinds of furniture items in your garden so that you can enjoy the outdoor atmosphere to the fullest. And in this, your very own pallets can really help you a lot to achieve the whole furniture range for your green outdoor area and that too stylishly and at cost-free rates. 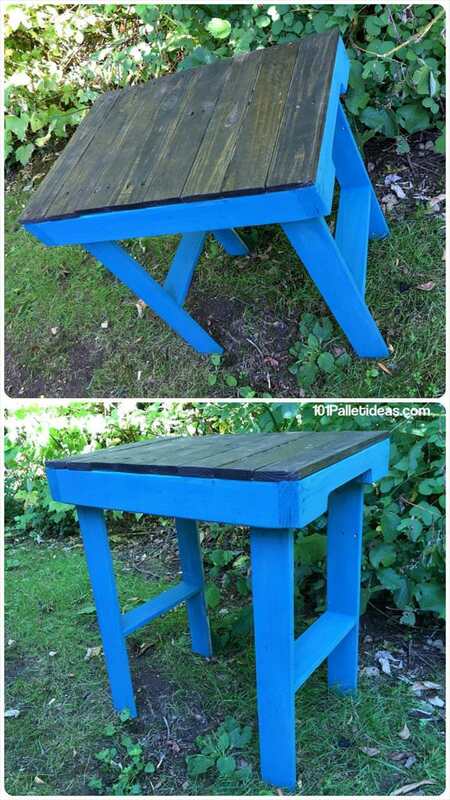 This cute and mini pallet kitchen table has been made from the pallet slats and plank pieces, it can be used to perform many tasks like that of a coffee table, potting table if you want. 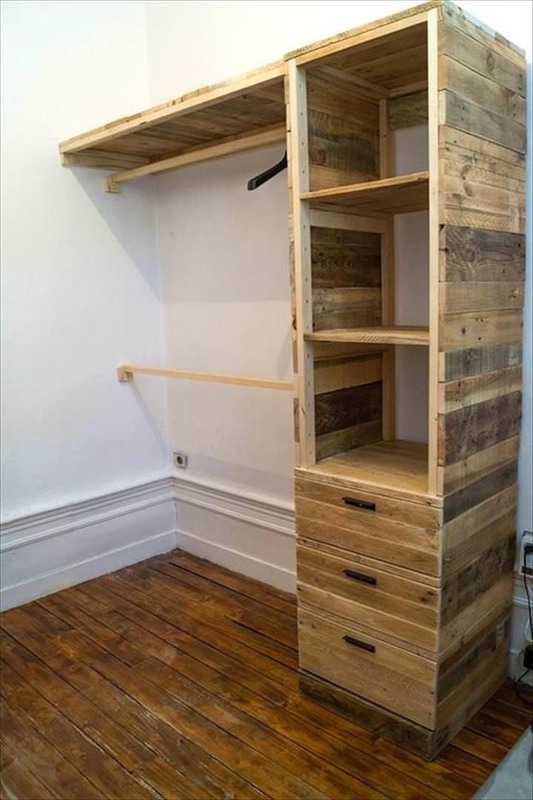 The bedrooms in the today’s houses are usually small and have low space to welcome the furniture especially the cupboard and this pallet made corner cupboard or closet is the best idea for such spaces. Here is more on it. 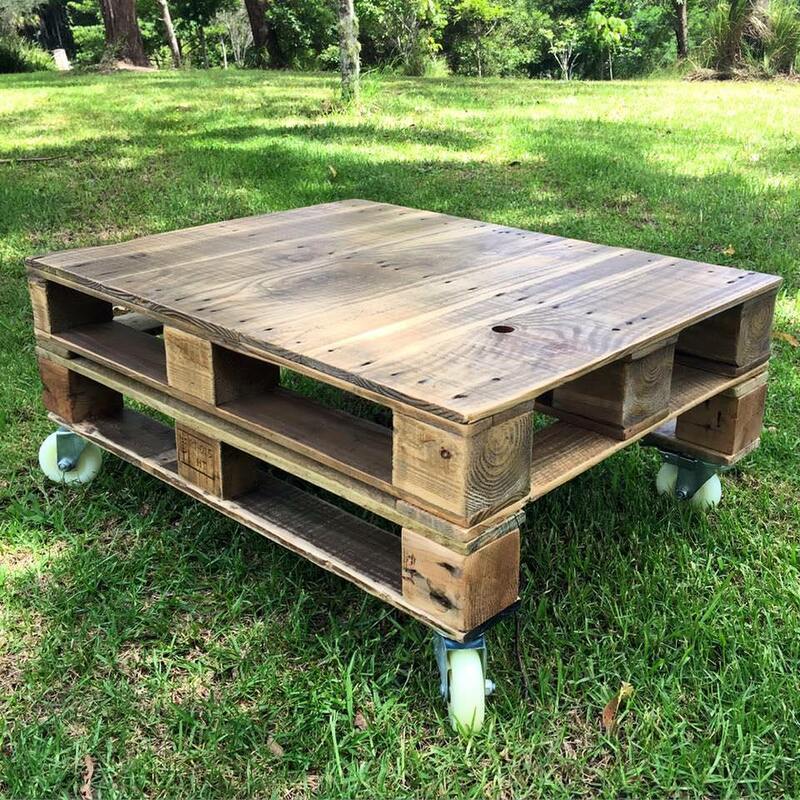 This coffee table is functional and beautiful at the same for having a large top and storage cubes and the rustic stained look with the wheels at the end respectively. Visit PalletFurnitureDIY to read the full post.